Please read below for Math-A-Matics Tutoring, LLC’ s payment policies. If you have any questions that are not addressed below, please do not hesitate to Give Us a Call Us or Send Us An Email. We would be happy to assist you! Clients will be invoiced regular if not paid in advance. Invoices will be sent prior to each session or with multiple sessions per week, Payments can be made by any of the following methods: check, money order and all major credit cards (American Express, Discover, MasterCard, and Visa) via Stripe by default or by PayPal by request and is due 24hrs prior to each session or within three days of receipt of invoice. Our office processes all payments; Please DO NOT give payments to tutors. You will receive a payment confirmation email to save as your receipt. If the transaction is declined, you have a two (2) business day grace period to settle all balances. If the transaction is not settled before the grace period has expired, late charges will begin to be assessed to your account. Twenty-four (24) hours’ advance notice is REQUIRED for cancellations. Your timely cancellation allows us to effectively structure our tutor’s schedule so that we can be there to assist as many students in need of our assistance as possible. If you need to cancel a session, please call the tutor directly at least twenty-four (24) hours before the scheduled session. If you give notice less than twenty-four (24) hours prior to the session, you will be responsible for a $25 cancellation fee. If you do not give any notice, you will be responsible for paying the full hourly rate. We understand that sometimes unexpected events occur; therefore as a courtesy, Math-A-Matics Tutoring, LLC will waive the first cancellation made less than twenty-four (24) hours in advance. 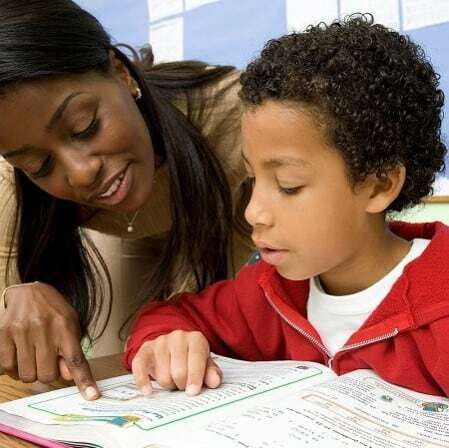 Here at Math-A-Matics Tutoring, LLC, we believe in holding our tutors to a very high standard. If our tutor gives less than twenty-four (24) hours’ notice when canceling a session, your next tutoring session will be discounted to half the normal rate. If the tutor does not give ANY notice, you will receive one FREE one (1) hour tutoring session. We only require that the minimum session length is 1 hour for students. If the tutor is asked to stay less than an hour, the session will count as one hour. Sessions lasting longer than one hour are rounded to the nearest fifteen minutes. We are thrilled when you are pleased with your tutor and would like to express your appreciation with a gift. However, monetary gifts of any kind (including but not limited to cash, checks, money orders, and gift cards) are unacceptable. Giving tutors any sort of monetary compensation is against Math-A- Matics Tutoring, LLC’s policies and tutors who accept such gifts are in violation of their agreement with Math-A-Matics Tutoring, LLC.